The aim of our 10-week-long experiment was to investigate the impact of training with additional dead space (DS) on spirometry and exercise respiration. Respiratory muscle training is applied to the development exercise capacity. Twenty cyclists were assigned to two groups: the experimental (E) and the control (C). All of them carried on with their initial training programme. During endurance trainings (twice per week) group E used additional DS (1000 cm3). Immediatelly before and after the experiment each participant was submitted to a spirometry and a continuous test. The spirometry test measured peak inspiratory (PIF) and expiratory (PEF) flows, forced expiratory volume in one second (FEV1) and forced vital capacity (FVC). The continuous test measured tidal volume (TV), respiratory frequency (RF), along with inspiration and expiration times. Our experiment demonstrated TV increase and RF decrease in both groups. In addition, the TV value was significantly higher in group E than in C. The PIF value also increased significantly, PEF and FEV1 upward trend was observed in group E only. We concluded the additional respiratory DS used in the experimental group provoked an increase of airflow observed in the spirometry tests at rest and during intensive aerobic exercise. 1. Aleksandrova N.P., Breslav I.S. Human respiratory muscles: three levels of control. Human Physiology. 2009; 35 (2): 222–229. 2. Amonette W.E., Dupler T.R. The effects of respiratory muscle training on VO2max, the ventilatory threshold and pulmonary function. Journal of Exercise Physiology. 2002; 5 (2): 29–35. 3. Baarends E.M., Schols A.M., Nusmeier C.M., Van der Grinten C.P., Wouters E.F. Breathing efficiency during inspiratory threshold loading in patients with chronic obstructive pulmonary disease. Clin Physiol. 1998; 18 (3): 235–244. 4. Bailey S.J., Romer L.M., Kelly J., Wilkerson D.P., DiMenna F.J., Jones A.M. Inspiratory muscle training enhances pulmonary O2 uptake kinetics and high-intensity exercise tolerance in humans. J Appl Physiol. 2010; 109 (2): 457–468. 6. Carey D., Pliego G., Raymond R. How endurance athletes breathe during incremental exercise to fatigue: interaction of tidal volume and frequency. Journal of Exercise Physiology. 2008; 11 (4): 44–51. 8. Eastwood P.R., Hillman D.R., Finucane K.E. Inspiratory muscle performance in endurance athletes and sedentary subjects. Respirology. 2001; 6: 95–104. 9. Gething A.D., Williams M., Davies B. Inspiratory resistive loading improves cycling capacity: a placebo controlled trial. Br J Sports Med. 2004; 38: 730–736. 10. 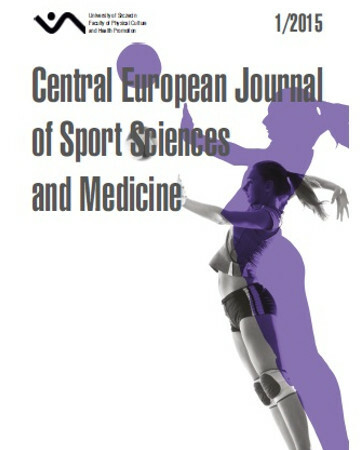 Goosey-Tolfrey V., Foden E., Perret C., Degens H. Effects of inspiratory muscle training on respiratory function and repetitive sprint performance in wheelchair basketball players. Br J Sports Med. 2010; 44: 665–668. 11. Lucia A., Carvajal A., Calderon F.J., Alfonso A., Chicharro J.L. Breathing pattern in highly competitive cyclists during incremental exercise. Eur J Appl Physiol O. 1999; 79 (6): 512–521. 12. Markov G., Spengler C.M., Knopfli-Lenzin C., Stuessi C., Boutellier U. Respiratory muscle training increases cycling endurance without affecting cardiovascular responses to exercise. Eur J Appl Physiol. 2001; 85 (3–4): 233–239. 14. Passfield L., Dobbins T., Myers S., Reilly M., Williams E.M. Acute cardio-respiratory changes induced by hyperpnoea using a respiratory muscle trainer. Ergonomics. 2005; 48: 1423–1432. 15. Riganas C.S., Vrabas I.S., Christoulas K., Mandroukas K. Specific inspiratory muscle training does not improve performance or VO2max levels in well trained rowers. J Sport Med Phys Fit. 2008; 48 (3): 285–292. 16. Romer L.M., McConnell A.K., Jones D.A. Effects of inspiratory muscle training on time-trial performance in trained cyclists. J Sport Sci. 2002a; 20: 547–562. 17. Romer L.M., McConnell A.K., Jones D.A. Inspiratory muscle fatigue in trained cyclists: effects of inspiratory muscle training. Med Sci Sport Exer. 2002b; 34 (5): 785–792. 18. Romer L.M., McConnell A.K., Jones D.A. Effects of inspiratory muscle training upon recovery time during high intensity, repetitive sprint activity. Int J Sports Med. 2002c; 23 (5): 353–360. 19. Sheel A.W. Respiratory muscle training in healthy individuals. Physiological rationale and implications for exercise performance. Sports Med. 2002; 32 (9): 567–581. 20. Sonetti D.A., Wetter T.J., Peqelow D.F., Dempsey J.A. Effects of respiratory muscle training versus placebo on endurance exercise performance. Resp Physiol. 2001; 127 (2–3): 185–199. 22. Taylor B.J., Romer L.M. Effect of expiratory muscle fatigue on exercise tolerance and locomotor muscle fatigue in healthy humans. J Appl Physiol. 2008; 104 (5): 1442–1451. 23. Toklu A.S., Kayserilioglu A., Unal M., Ozer S., Aktas S. Ventilatory and metabolic response to rebreathing the expired air in the snorkel. Int J Sports Med. 2003; 24 (3): 162–165. 24. Tong T.K., Fu F.H., Chung P.K., Eston R., Lu K., Quach B. The effect of inspiratory muscle training on high-intensity, intermittent running performance to exhaustion. Appl Physiol Nutr Me. 2008; 33: 671–681. 25. Ursino M., Magosso E., Avanzolini G. An integrated model of the human ventilatory control system: the response to hypercapnia. Clin Physiol. 2001; 21 (4): 447–464. 28. Zatoń M., Hebisz P., Hebisz R. Respiratory changes resulting from training with enlarged respiratory dead space. Sport Wyczynowy. 2008a; 4–6: 28–38. 29. Zatoń M., Hebisz R., Hebisz P., Bakońska-Pacoń E. The influence of training with enlarged respiratory dead space on changes in blood base-acid equilibrium. Sport Wyczynowy. 2008b; 7–9: 105–116. 30. Zatoń M., Smołka Ł. Circulatory and respiratory response to exercise with added respiratory dead space. Human Movement. 2011; 12 (1): 88–94. 31. Zhao L., Lu J.B., Yang S.Q., Zhu L.H. Effect of dead space loading on ventilation, respiratory muscle and exercise performance in chronic obstructive pulmonary disease. Chinese Journal of Tuberculosis and Respiratory Diseases. 2004; 27 (11): 748–751.